Winner+ SOM App can be accessed online from any location on any device of any size with any operating system through any browser. Use this app for making interactions on the go. 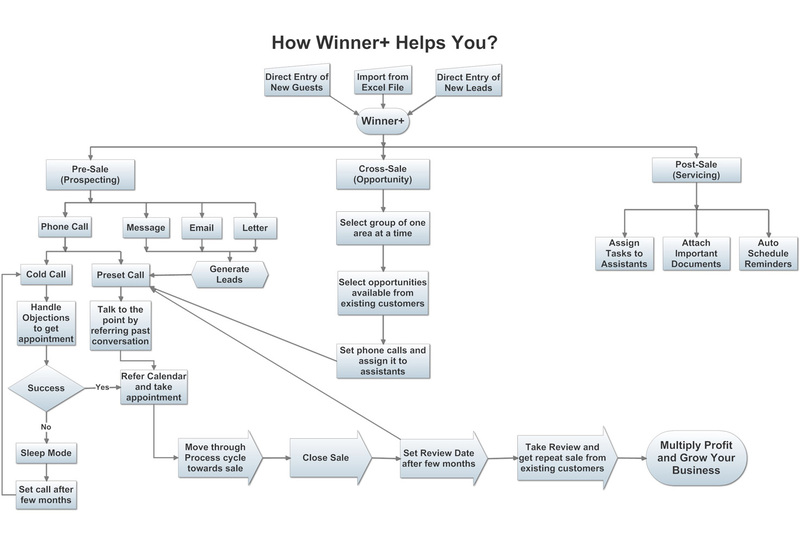 But for better result try Winner+ Desktop Software along with online app. Check the details given below for demo. 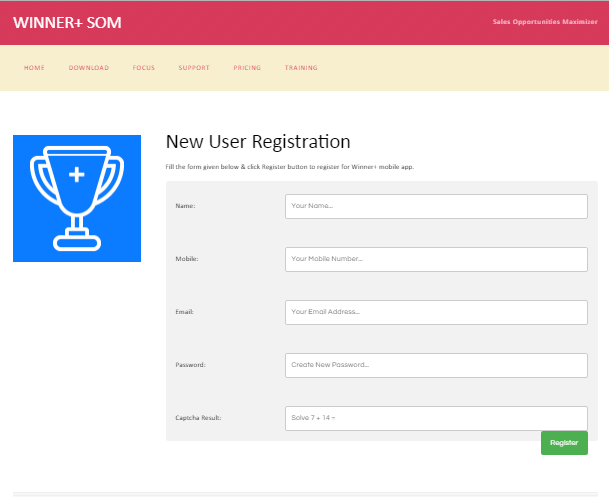 Fill in the form above and click Register button to create your Online Account. After successful registration log-in into the app. 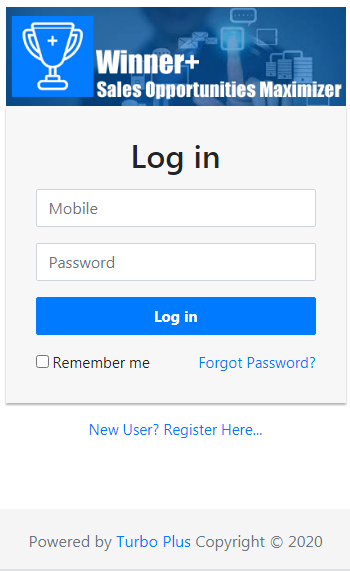 Enter your registered Email Address & Password and click on login button. You will get the following screen depending on the size of your device. Either use any button on Dashboard or click on Dashboard Menu for viewing all options available in the list. Use Account menu to change profile or log-out. Entire Dashboard and all menus are visible on screen. 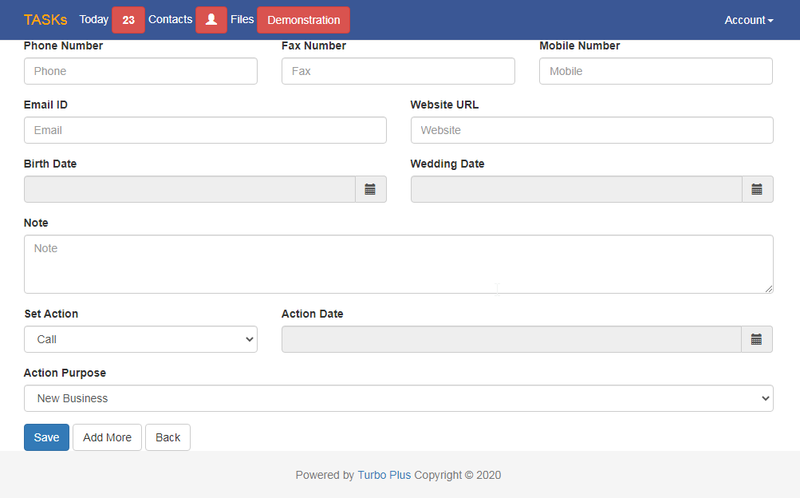 Click on Contacts button and then select Add Contact. 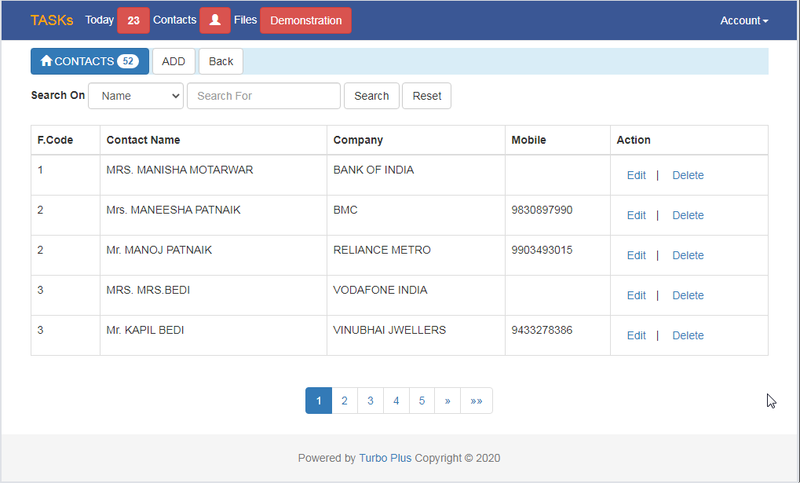 To set new call or meeting or update any contact details click on Edit Contacts button. 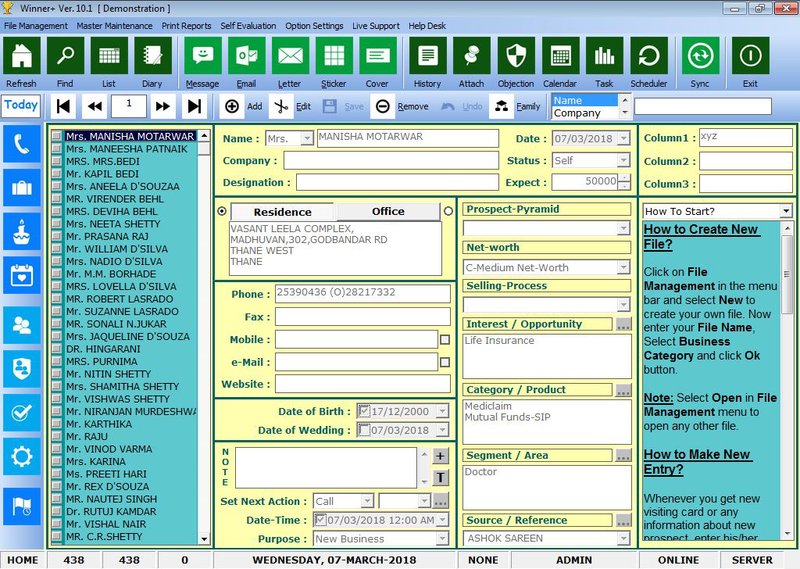 After entering available information click on Save Contact button. Whatever entry/updation done in online app will be reflected in Windows Desktop software. 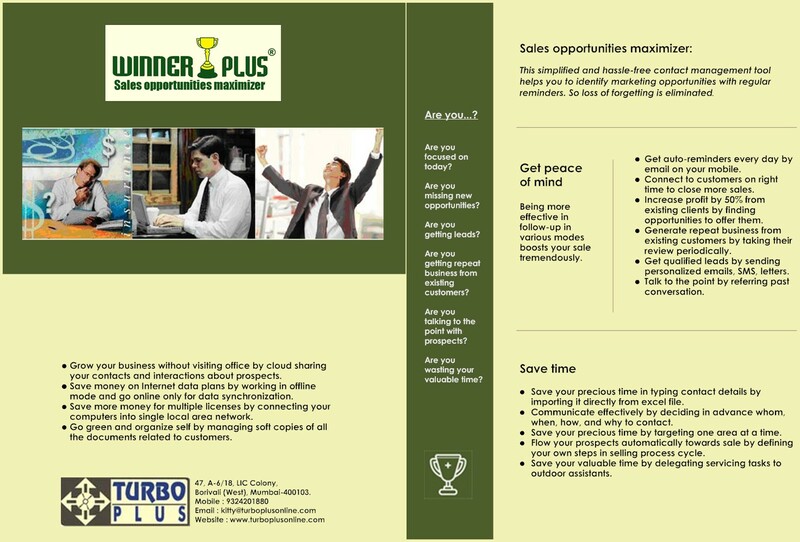 Click on the link http://www.turboplusonline.com/downloads/WinnerPlusSetup.exe to download Windows software on your Desktop/Laptop. 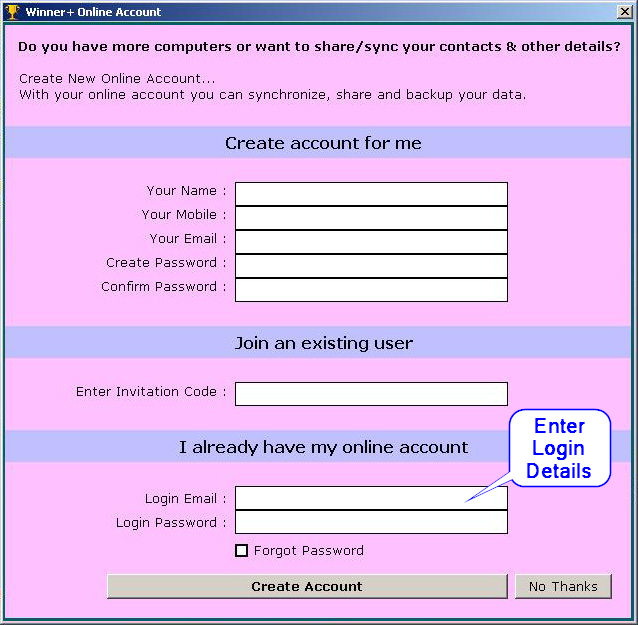 After downloading & installation enter your registered email address and password in Online Account form. Open your file and Sync contacts when prompted for it. All contacts entered in mobile/online app will be available in your desktop software and vice versa.